It was with profound sadness that I learned of your departure from this world yesterday. Though all of us were aware that your demise was imminent, somehow we find it difficult to accept you are no longer with us. In more ways than one, you were the leader of this great nation of South Africa, a profound statesman, a courageous freedom fighter, the veritable father of this nation, the most resilient prisoner ever born. At the same time, you were humble, tolerant and wise, and possessed a seemingly bottomless capacity to forgive. The list of your good qualities goes on and on. welcome under your leadership. I experienced this personally when you graciously accepted the Hare Krishna Movement’s invitation to be our special guest at the “Festival for The Children of the Rainbow Nation” in 1997. The long program was attended by 50,000 boisterous children, and, after it was over, I was walking you back to your car, surrounded by many security men. worries and woes associated with organizing a program of such magnitude vanished. You kept holding my hand until we reached your car and as you got in you smiled at me as if to say, “Well done.” I realized your greatness came not only from your ability to accomplish great political feats, but also in your kindness and compassion to reach out and touch the hearts of the private citizen, even a foreigner like me who was trying through spiritual ideology to propagate your desire for social cohesion. your ability not only to forgive and exonerate your enemies but also to engage them in rebuilding this great nation. Where is such an example in the recent history of the world? I do not think it exists apart from your selfless efforts. Madiba, thank you for taking a moment of your precious time to encourage a simple soul like me. And thank you for affirming your care and concern when we met on a flight from Johannesburg to Mauritius years later. I was sitting in business class waiting for the flight to take off when a team of security men boarded and began barking orders to everyone to move back to the economy section. Most passengers jumped up and moved, but I was slower because I had a number of possessions to gather. The head of the security was screaming at me to move on, when you entered the cabin. The security man’s jaw dropped as I moved over and sat in the aisle seat across from yours. 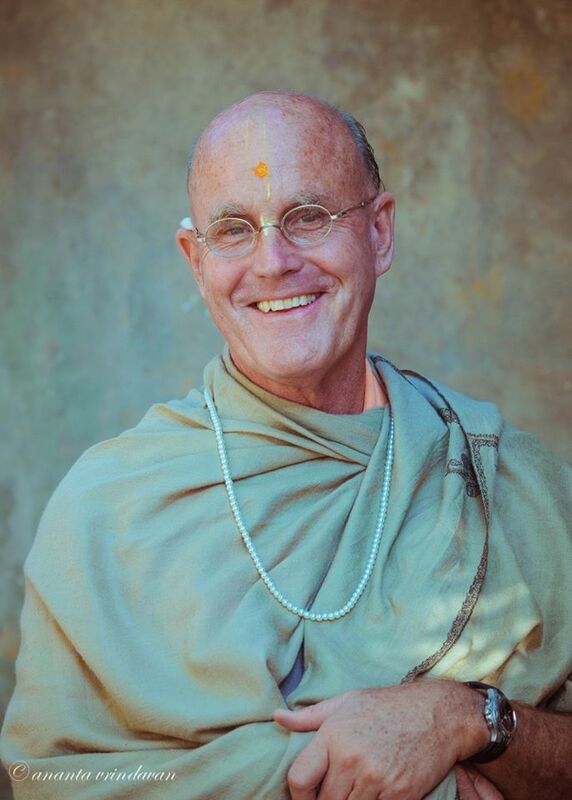 We chatted for some time and I answered your questions about how the Hare Krishna Movement could help the people of South Africa. You showed special interest in the idea that peace would come to the country when everyone realized they were part of the greater family of God. Madiba, those of us present tonight join with the people of this nation and pledge to carry on the great work you started: the preservation and unification of all the people of this land. In closing, I want to say it was an honor to be a small part of your historic life. It was an honor to be a part of the history of this great nation of South Africa.